Mmmm, garlic bread. That's insane looking. 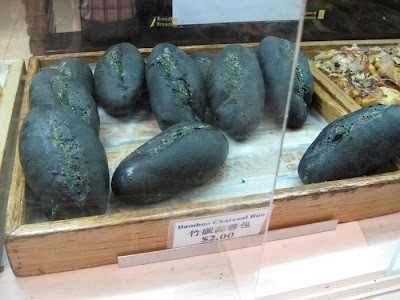 Wow, first pretzel and now black bread...you've got me craving carbs! Promise to try these next time I'm near, sounds intriguing. 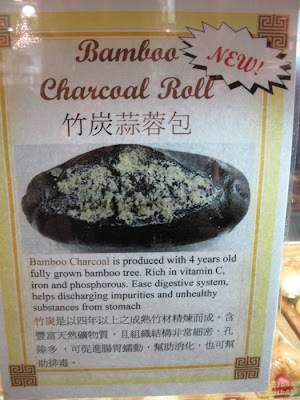 i have been eyeing this roll everytime i go past! I'm assuming the flavour is not garlicky though, right? They're totally garlicky, really yummy. They're apparently very good for you due to the fibre, I'm told. 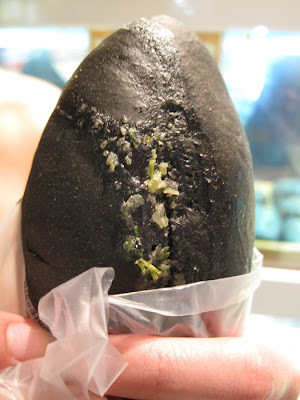 I tried the black bread right after I saw the pics that Sandra posted on FB - I had been eyeing it for a while, I was actually expecting it to taste sort of burnt, but it tasted like bread bread - food colouring? Adri - *totally* high in fibre, trust me. I think the black colour comes from charcoal? I've used black food colouring before, when I made Halloween cupcakes. Kinda scary looking.